Just a couple of months into 2019 and our Jewellery department have already spotted some most-wanted engagement ring styles. Every year we notice that people’s choices in diamond shapes and certain metals change as with any other high-street trend. Here’s what we expect to be big for 2019. 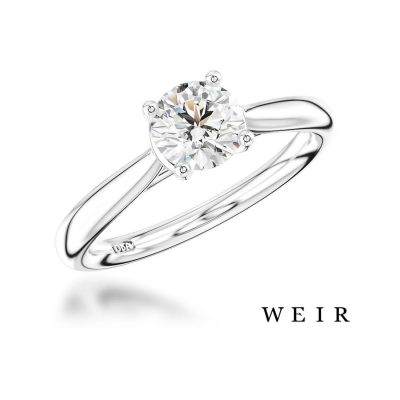 Whether you choose to follow the trends or follow your heart, Weir & Sons we would be delighted if you came in to take a look at all our Engagement Rings on offer which start at €1,000. As to be expected, Solitaire Engagement Rings hold the number one spot for most requested ring styles. Classic to the core, one can’t go wrong with such simple beauty. Whatever colour metal you choose with this ring style, it will always look on point and compliment your hand beautifully. 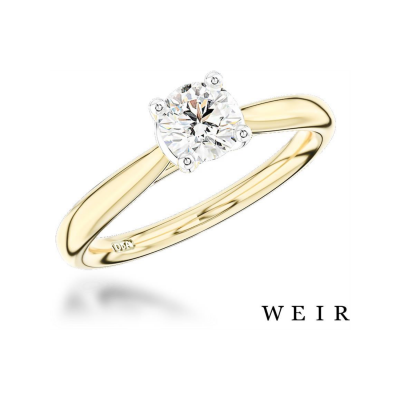 Solitaire engagement rings have a truly timeless design that can be appreciated for their simplicity. Three Stone Rings are on the increase with fancy cut stones – such as cushion cuts and oval cuts – showing increased popularity this year. 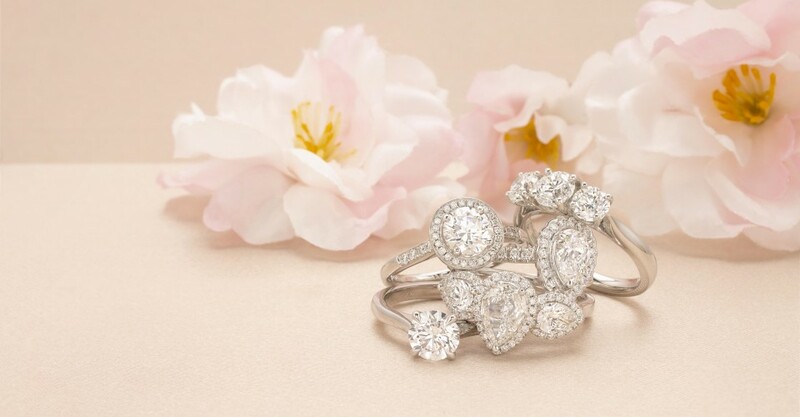 Pear or trilliant side stones are a gorgeous touch to some, whereas a round brilliant can compliment others perfectly. Could this trend have anything to do with the beautiful three stone worn by Meghan Markle? Be sure to check out all the three stones and fancy cut engagement rings that we have online and in store. You may never have thought of a fancy cut before now, but they may yet win you over! 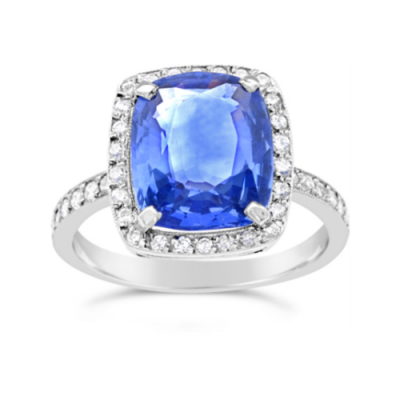 Sapphire and other blue coloured gemstones stones in engagement rings are on the rise. Whether it’s in a three stone or a cluster you can’t go wrong with these beautiful blue stones. Unlike many other gemstones, a sapphire is still hard enough to be worn everyday on a ring, in contrast to other stones such as Emerald, which despite being popular is too soft for the everyday wear. 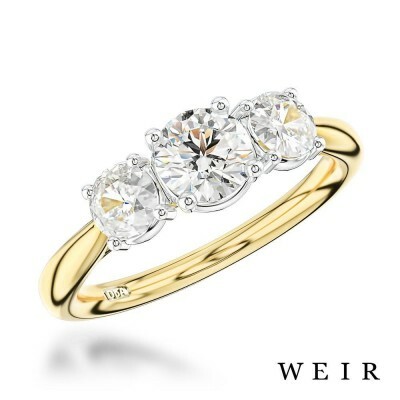 Although a classic choice in metal for engagement rings, Yellow Gold has become increasingly popular this year. Gold is naturally yellow, so in choosing this metal for your engagement ring it saves having to get the band re-rhodium plated. Despite being such a classic, over the last number of years fewer people were choosing yellow gold. However, we are pleased to let you know it is seeing a resurgence in popularity once more. 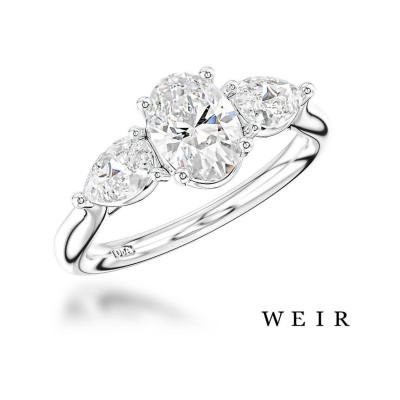 No matter whether you choose to follow the trends or follow your heart, here at Weir & Sons we would be delighted if you came in to have a look at all our engagement rings on offer which start at €1,000. We have some new and exciting engagement rings about to arrive soon and we are excited to show them to you… although they aren’t available in-store just yet, we hope you love them as much as we do. 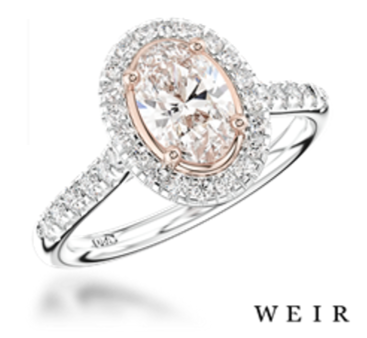 This blush ring above features a G colour oval Diamond that is set in rose gold surround. This design gives the diamond an enhanced, lovely pink hue as you can see in the photo above. We simply adore this collection. 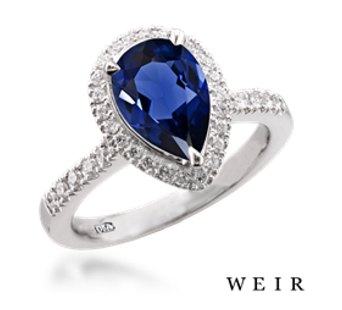 This beautiful pear cut sapphire is coming soon to Weirs and is only one of many new sapphire rings arriving. It is part of the new sapphire collection coming soon, as we want to offer more sapphire and blue gemstone options for this top engagement ring trend of 2019. We also have more three stone engagement rings coming soon with round brilliant cut diamonds and yellow gold bands which are just stunning. 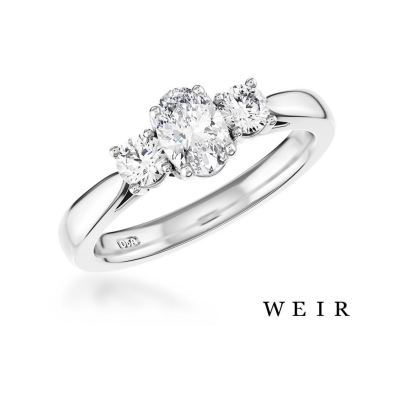 This is just a little preview of what more there is to come to our extensive engagement ring selection in the jewellery department and online at Weir.ie. If you are looking for inspiration for your special ring, be sure to pop in and we can guide you through a selection of rings to suit. Astrid & Miyu Arrives in Weir & Sons!